i love my weekdate. it's really genius, space-saving wise. how could you not love a planner whose motto is 'only write it once'?! 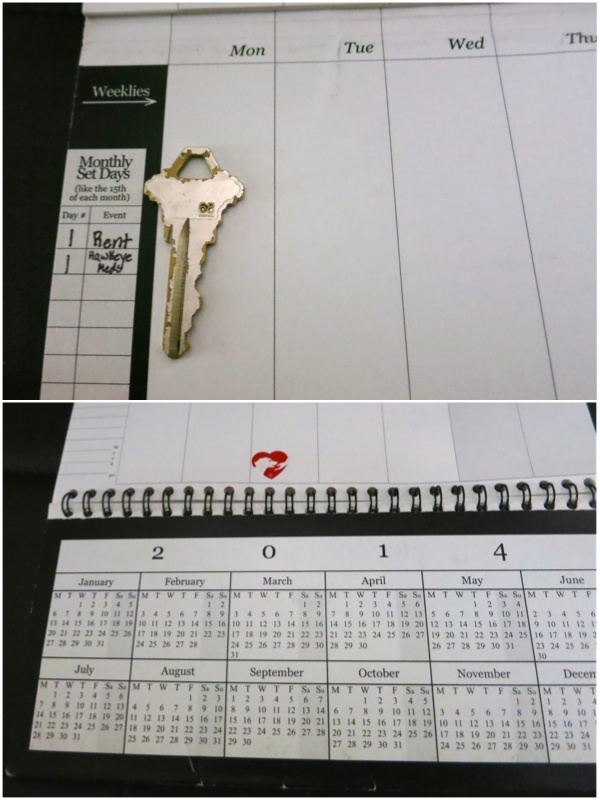 if you're the type of person who likes to carry a planner with you, this one is perfect. compact and lightweight. the 2015 was gifted to me for review, but it's my... at least 3rd, maybe 4th weekdate in a row. (in fact, i asked for it to write the review specifically, because i already knew i loved it so much and needed to share.) here's where i've mentioned/pictured my previous weekdate love: 10 best planners and tips for organizing your blog posts. the top section is labelled 'monthlies.' the days of the week are listed along the top and the weeks are listed down the left. this is the space where you can list anything that occurs regularly in the month. does your book club meet every 2nd tuesday? is the pta meeting always the last thursday? i'd write it in pencil in case plans change over the year. (and the weekdate comes with a pencil!) as you can see on my 2014 planner, i used this section for my blog editorial calendar. i'll probably do the same in 2015, once i lock down what that calendar will consist of. i changed up my schedule, after taking it easy this summer, so i know i have some updating to do for next year's schedule. 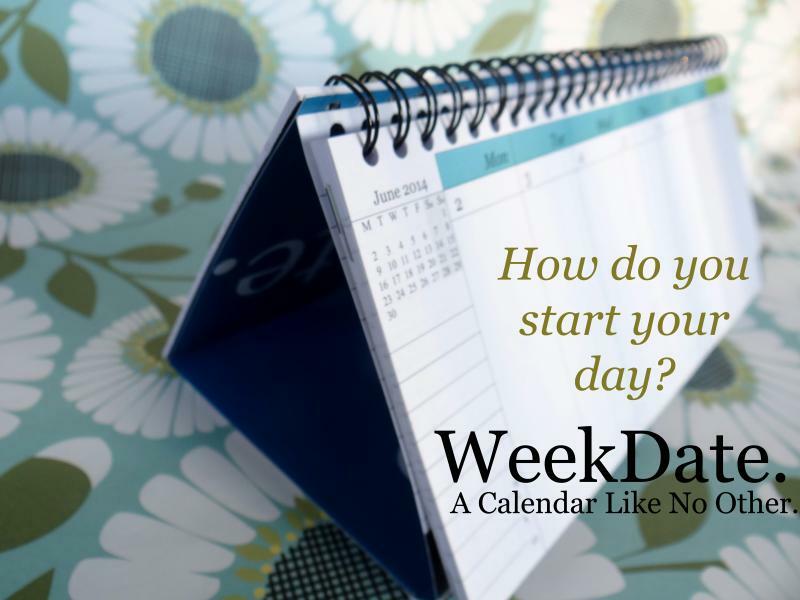 the bottom section is labelled 'weeklies,' with the days of the week listed along the top, monday through sunday. also on the left side is a section for 'monthly set days.' as you can see, i have the rent and a reminder to give hawkeye her meds on the 1st of the month. when i finally figure out the actual due date of my electric bill, that would go there too. this bottom section is where i'd list what needs to get done weekly. currently, it has my cleaning schedule in there because i do clean the kitchen on mondays, dust on tuesdays, etc etc. you can also put that zumba is at 7 every thursday or that you grocery shop every wednesday. 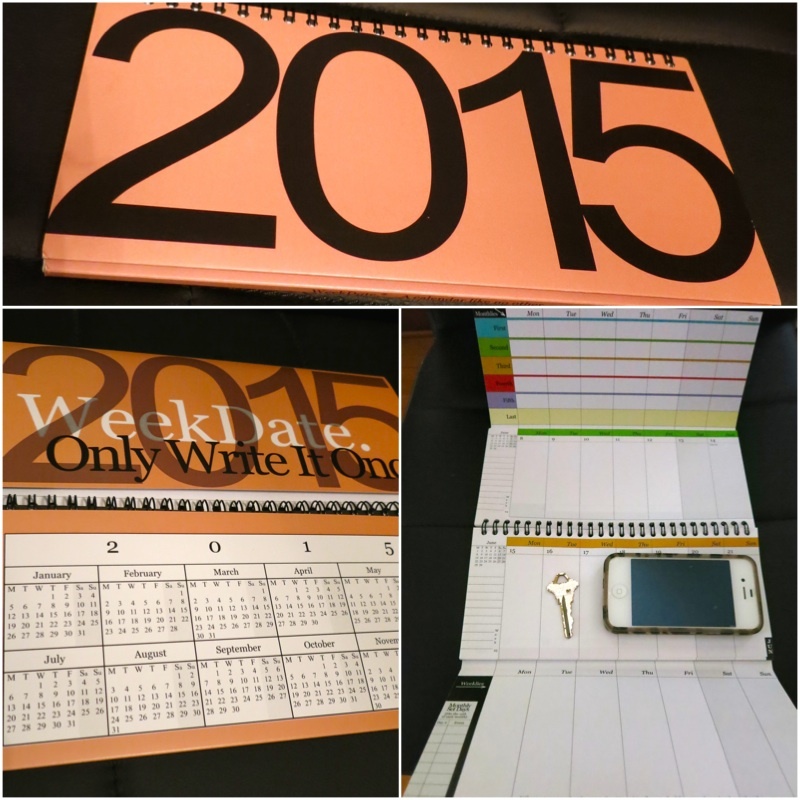 this bottom flap folds up and in so you can hold your place in the main calendar section. the very last few pages are the months at a glance. i write birthdays here. there's also the full calendar for this year and next, and some notes pages. besides the pencil in the monthlies part, i mostly use a black le pen. no bleeding, i'm thinking about getting a pink one as well for fun plans vs using black for work and appointments. it comes with the pencil. size comparisons for you - i have the iphone 4, so you can see how long it is and how thin when all folded up. 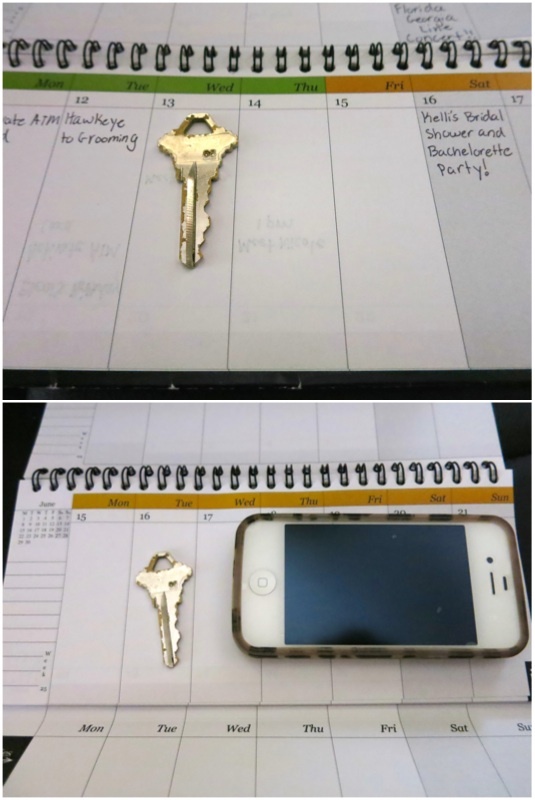 i also used my apartment key so you could tell the size of the boxes you'd be writing in. there's an academic version available, and a wall calendar. they have a how-to video in case my explanations totally make no sense to you. it's $23. a giant steal compared to some other planners out there! the photos of the black one or where it has writing is my 2014 weekdate. 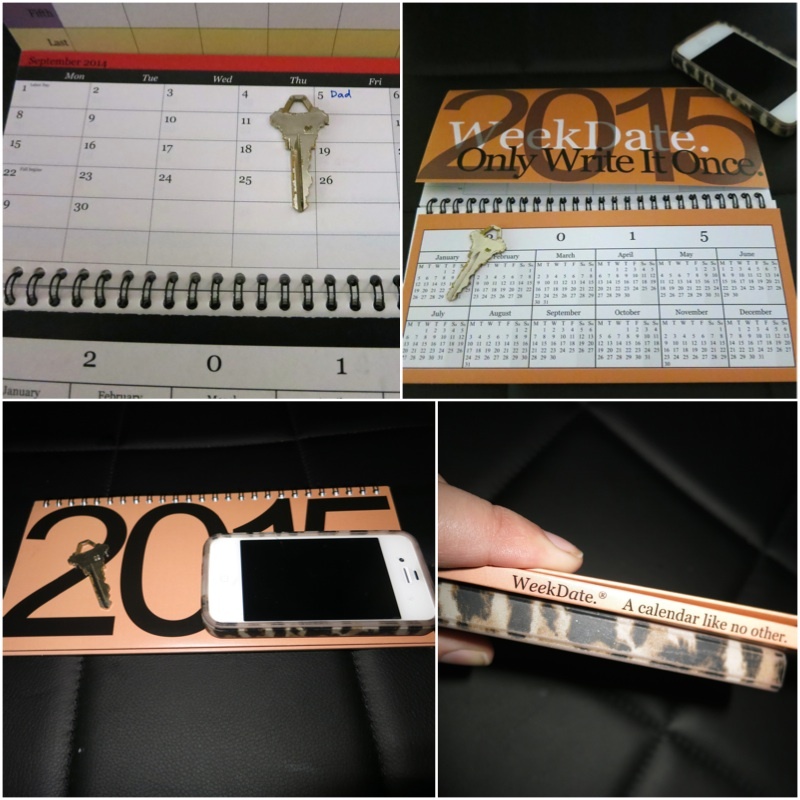 the peach color and where it's blank it's the 2015. the photos that look actually professional are courtesy of weekdate. i love this thing. i highly recommend it to anyone in the market for a 2015 planner! shop weekdate here. It looks amazing and you are so organized that if you recommend this it moves up many notches in my books. Aw thanks :) Definitely check it out! I find it so helpful. I love that you can rock this. I think my handwriting would make this a giant mess. I like the idea of having it on my desk reminding me what I'm supposed to be doing though. i have a small planner that fits into my bag and the best part is the price - i got it for $9 instead of $15. while those fancy EC planners are nice, they're HUGE! ain't no way i'd be able to lug that thing around. I like it and how you use it, but I know it would be too small for me. I am a space ogre when it comes to planners - need it and always want more! I can't wait to start using my Plum Paper planner. I hate that it's just sitting there unused. I will say I usually tire of planners by the end of their run and after using the Erin Condren since July 2013, I still work it every day. Hmmm - I may have to look into this!! I have been searching for the right planner literally all year. I love how small it is. I have a planner I love, but its so big I can't just take it with me. I've been eyeing up planners to get for 2015. I LOVE my Erin Condren, but sometimes I don't think I use to its' full potential considering how much it costs. I think this one may be a little too small, but I will definitely check out the site and look more into it! 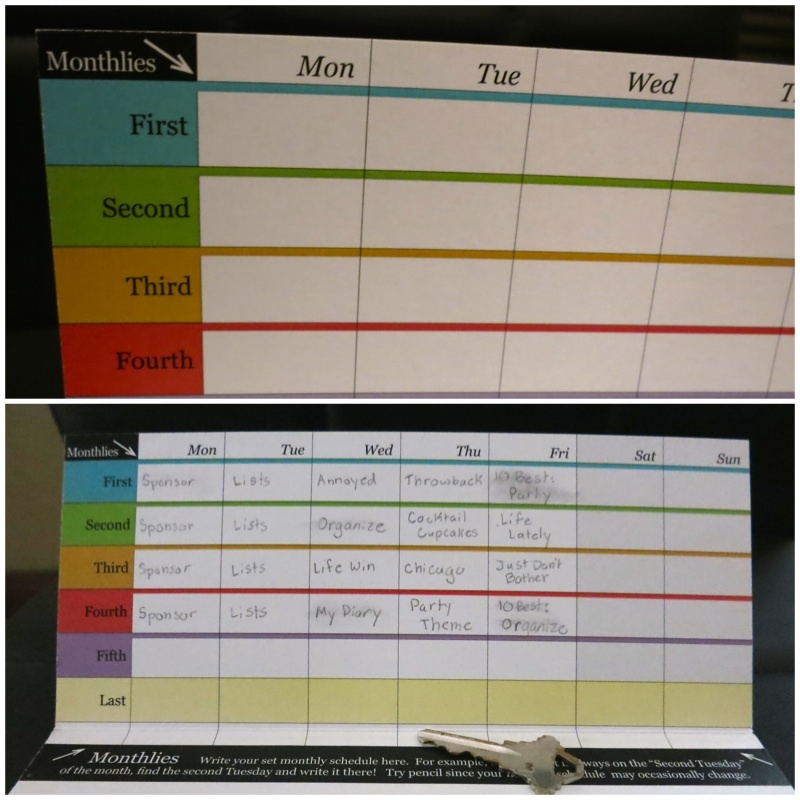 I am so not a planner girl but I love how organized it does keep you. Impressed! My goodness, you are so organized! I love planners... I always keep one on me too, but haven't heard of this one before. Definitely going to check it out (I love writing out things I have to do in a planner so I can actually physically see everything laid out. It helps me immensely!). I need to look at picking one of these up! I like that price too! That looks like an awesome planner! I am one of those people who has to check their planner every 5 seconds and write every single thing down. I like how you only need to write things once. I still am old fashioned and need to actually write things down too. I think its a visual thing. I really love how compact it is!! As someone who always carries their planner with them - it would be nice to have a desk option too! I haven't used a planner faithfully since college. One of the reasons why is size, I dont think I want to carry a big bulky one around...so I am intrigued by the size of this one! 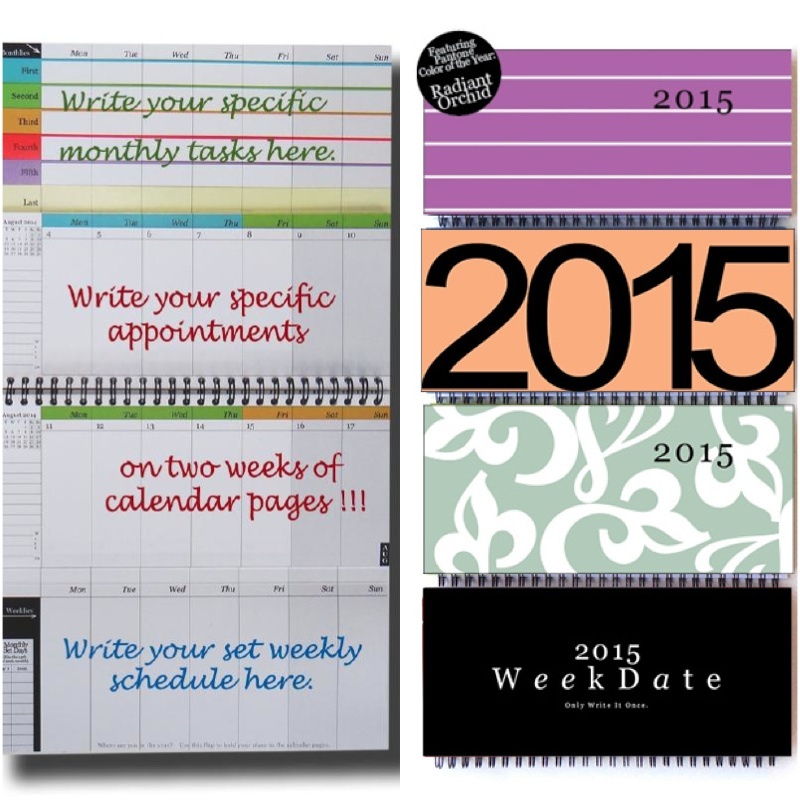 I think one of my goals for 2015 is to start using on again to keep me organized. I am going to add this to the list of contenders for sure! Ok so I love my EC planner, and am on my second one, but I wish it was as small and compact as yours. I take it with me alostt everywhere because I actually do depend on it that much, and it makes my purse so heavy, not to mention only fits in my big purses. Seriously you are so organized I love it!! I cross off each day in my planner with a highlighter like a crazy person....old habits from counting down the days of school. That one is a total steal of a price thanks for the introduction! Totally getting one. I love the one I have but it's too bulky for most purses. Thanks!